Within Teamwork Projects, you can quickly interact with a project from various areas of your site, such as the projects chart or list view. In any area containing a list of projects, you will see an options (three dots) button to the left of each project name. Selecting this will open the project's dropdown menu. 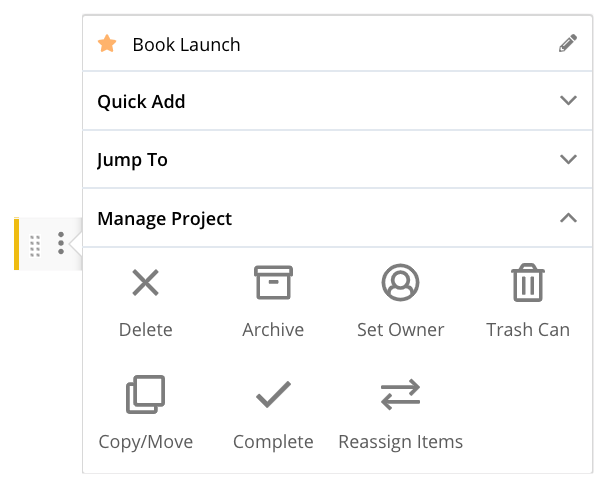 At the top of the dropdown menu, you can edit the project name and settings by selecting the pencil icon in the top right. You can also mark the project as starred. 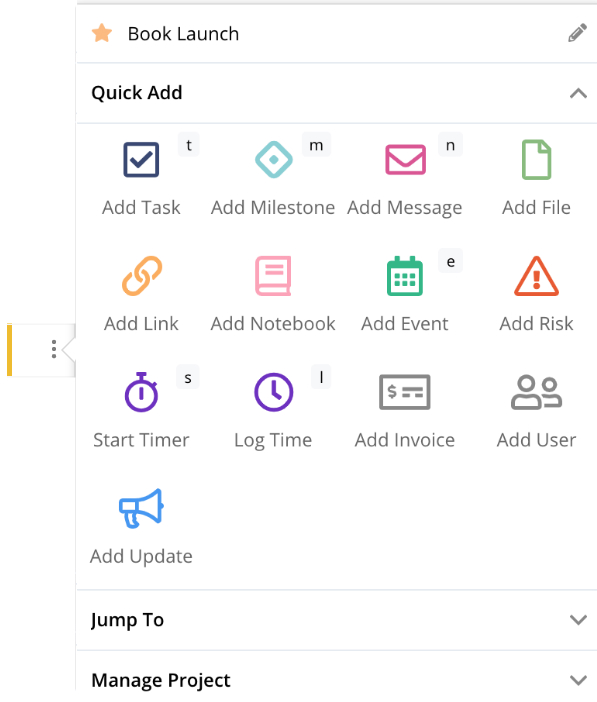 The Quick Add menu enables you to to create new project items such as tasks, milestones, and messages. You will also see any available keyboard shortcuts noted to the top right of each item icon. 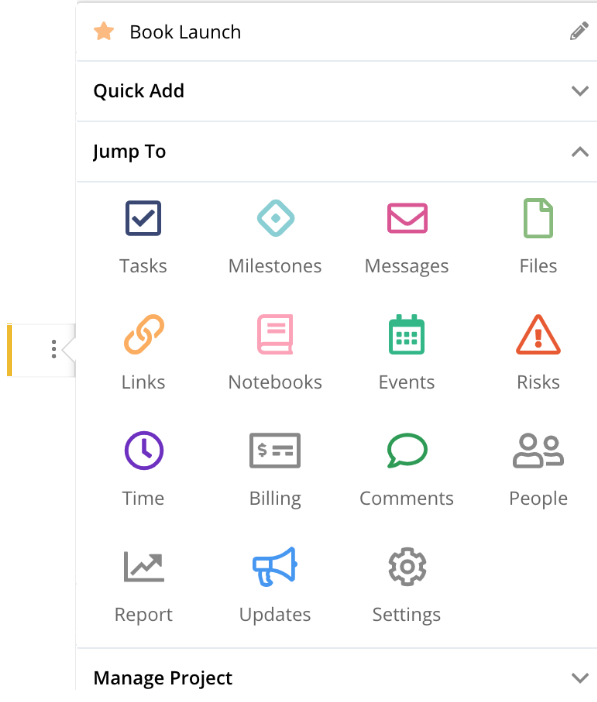 The Jump To section displays each of the project areas, such as tasks, time, or notebooks. Selecting one of these will bring you directly to that area of the project.